Our kidneys are responsible for filtering our blood in order to produce urine, meaning they are a vital part of our urinary system. Two tubes (ureters) carry urine from the kidneys to the bladder, and from there urine travels out of the body through the urethra. Sometimes, bacteria can enter our bodies through the urethra and travel to our bladder and up the ureters to our kidneys. 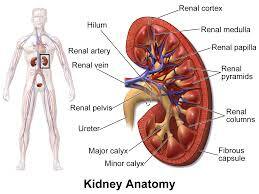 In fact, most kidney infections arise as complications of bladder infections, and require immediate medical attention. Mild kidney infections can typically be easily treated with antibiotics; however, more severe infections can sometimes require hospitalization. As soon as you notice the first sign of a kidney infection, you should seek treatment from a medical professional. Most kidney infections can be diagnosed using a urinalysis (UA) test. Urinalysis tests evaluate urine for signs of infection and can be done at most urgent care facilities, including FastMed. FastMed Urgent Care has locations right in your neighborhood to provide you with prompt and personal medical treatment. Our on-site labs enable us to perform a urinalysis and provide you with results quickly and conveniently. From there we can provide you with antibiotics to have you feeling better in no time.